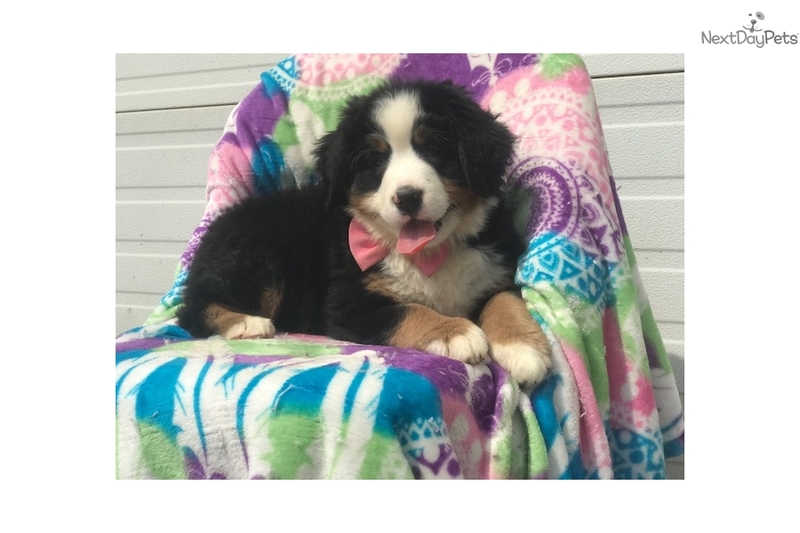 This Bernese Mountain Dog nicknamed Effy sold and went to a new family. Come and meet Effy! She is a very sweet Bernese Mountain Dog. They are outdoor dogs at heart, though well-behaved and trainable in the house; they need activity and exercise but do not have a great deal of endurance due to their size. They are also great with children and very affectionate. Fully grown will be between 70 and 110 lbs. She is family raised, vet checked, de-wormed, current with her vaccinations and she also comes with a one year genetic health guarantee! If you want to have her flown out to you, delivered by car or come and meet her in person feel free to text or call. We have scheduled appointments available Monday - Saturday from 9 am to 9 pm.